Hi! My name is Rochana but I am called Ro-Ro and that’s what I answer to. 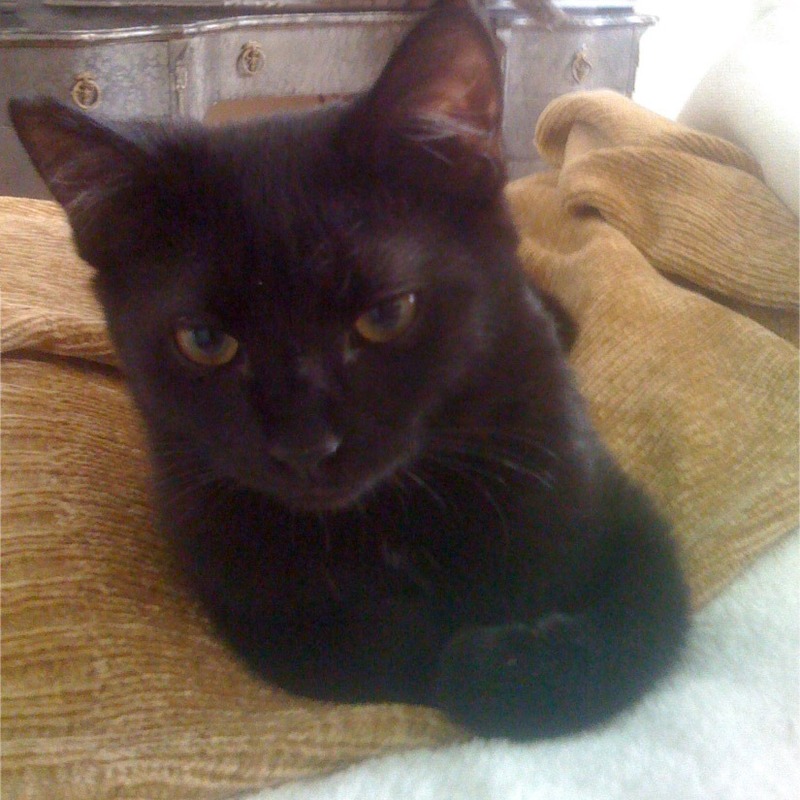 Born behind a Thai food joint, I struggled as there were lots of feral cats and I was tiny and weak. They mostly put out rice for us with bits of spicy meat. To this day the aroma of well-seasoned food makes me come running to see what it is. At eight weeks old, I had twinkly button-like eyes and my tiny face was spotted with road tar. 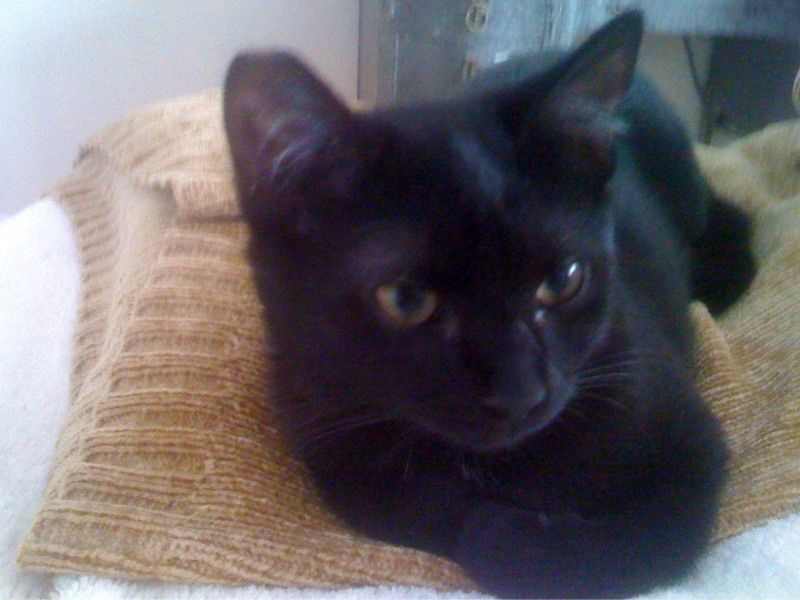 Once scrubbed, I emerged as a beautiful black bashful kitten. Today I’m amazing looking. (It’s okay to be a little vain right?) I am still petite which makes me appear younger than I am. Some comment that I could pass for nine months old. I get by on my looks. My favorite hangout is highest point in the house the arched eyebrow window in the loft where I watch the world go by. I sit up there for hours contemplating questions like “Why don’t I have thumbs?” and “Why would I bring someone bad luck?” I admit playing hard to get. My caretaker tries to grab me all the time. She calls it Hug Therapy. Sometimes it’s okay. The next day not so much. But I can’t resist a lower back scratch. Cappy is my playmate. He has lightning-fast ninja moves and jumps onto me meowing! He’s very young, so I guess I am a cougar. And he thinks I smell nice.